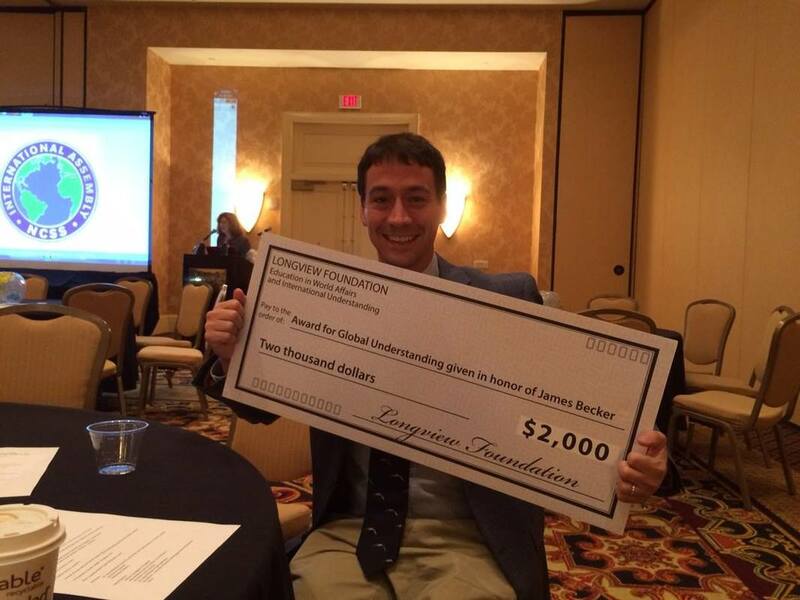 The National Council for the Social Studies (NCSS) named Devin M. Beliveau, a history teacher and department chair at Samueli Academy, Santa Ana, CA, as the recipient of the NCSS Award for Global understanding in honor of James Becker. This annual award recognizes a social studies educator or a team of educators, who has made notable contributions in helping social studies students increase their understanding of the world. The award is underwritten by funding from the Longview Foundation. The winner receives a $2,000 cash award, a commemorative gift, a complimentary conference registration, and up to $700 in transportation or lodging expenses. Beliveau, a social studies teacher for more than 10 years, believes broadening students’ perspectives through relevant cross‐cultural experiences is essential in establishing global understanding. He implements the “Go Global – Increase the Peace” curriculum (www.studentsgoglobal.org) to engage his students in establishing relationships with students in classrooms around the world and in exploring how we are alike to one another, how we are different, and what we can learn from other countries. He enables this powerful, real world communication experience by employing a variety of technology based communication tools, such as e‐mail, Skype, Google Apps, Weebly, Facebook, Twitter, Glogster, PowerPoint, Keynote, YouTube and Prezi. The curriculum motivates students and accommodates different learning styles by giving students a choice in defining the part of a pen pal’s culture they want to study and the mode in which (website, video, Google Slides, etc.) they want to use in creating their project and final presentation.